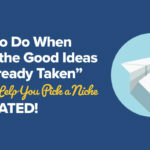 What to Do When "All of the Good Ideas Are Already Taken"—Tips to Help You Pick a Niche—UPDATED! It's SPI-ber Monday! Deals last until Tuesday at 11:59 p.m. Pacific! Save on my brand new online course, Smart Podcast Player, my current courses, and the brand new SPP Sticky Player! A brand new course I think you’ll love! A special Smart Podcast Player deal—plus a new player for subscribers! And major discounts on all of my current courses! What occasion could possibly bring all of these awesome things together in one place? What could cause the stars to align like this? Get ready for the very first SPI-ber Monday (get it? Haha.)! As you may know if you’ve been following me for a while, you know that my passion and mission in life is to help people. I do that by showing how I’ve grown my online business, and how others can start and grow their own businesses too. 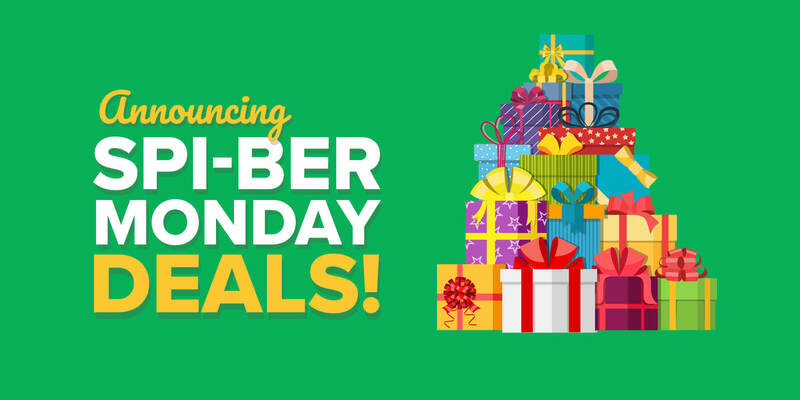 SPI-ber Monday is my way of offering the SPI community special, unheard-of deals, new products, and more, to help them build and accelerate their businesses. It starts TODAY, and runs until tomorrow at 11:59 p.m. Pacific.. I’m offering many great “no excuses” prices on my existing courses—and even a couple new, exciting products that I’m announcing here for the very first time. I’m super excited to tell you about them. Whether you’re just starting out, or are a seasoned entrepreneur who wants to take your business to the next level, SPI-ber Monday has something for you! My New Course: AMP’d Up Podcasting! I’m super excited to announce a brand-new course that will be launched in February. You’re the very first to hear about it—and for SPI-ber Monday, I’m offering an extra special deal if you sign up by tomorrow night. The course is called AMP’d Up Podcasting, and it’s meant to do exactly as the name says: help you amp up your podcasting success. Maybe you already have a podcast, or recently launched one. Congrats! But as many of you know, launching a podcast is just the beginning. To sustain your podcasting success, you’ll have to do it over, and over, and over again. What happens then? Some podcasters burn out, some take a break from their show, and others kill their podcast altogether. You don’t have to do any of those things! This course will help you create a system, process, and team that will help make your podcast sustainable over the long haul! AMP’d Up Podcasting is designed to help you automate, market, and profit from your podcast so you can get time back, grow your listenership, and earn more passive income. You’ll have a “done-for-you” system that will take the production burden off of you. You’ll have the knowledge to hire the right team or service to edit, export, schedule, and publish podcast episodes, as well as a plan for getting more listeners. You’ll come away with a strategy to monetize your podcast and increase your earnings. As a result, you’ll have more time to record quality content, more energy to put into marketing and monetizing your podcast, and more quality time to build relationships! Isn’t that why you got into podcasting in the first place? AMP’d Up Podcasting will launch in February 2019, but you can pre-order now for the no-excuses, must-get price of $699 (regularly $999). In addition to a huge discount on my new course, I’m also offering special “no excuses” prices on three more courses! 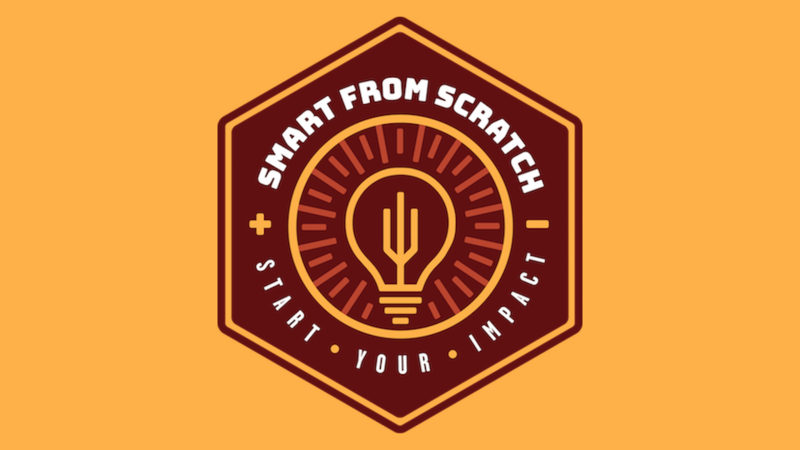 Enroll today and get access to Smart From Scratch for the no-excuses price of $174.30! Use the code “NOEXCUSES” at checkout for 30% off! In addition, you’ll get access to my ongoing office hours, and admittance into the private student center with over 1,000 other students! Enroll today and get access to Power-Up Podcasting for the no-excuses price of $559.30! Use the code “NOEXCUSES” at checkout for 30% off! Enroll today and get access to 1•2•3 Affiliate Marketing for the no-excuses price of $489.30! Use the code “NOEXCUSES” at checkout for 30% off! 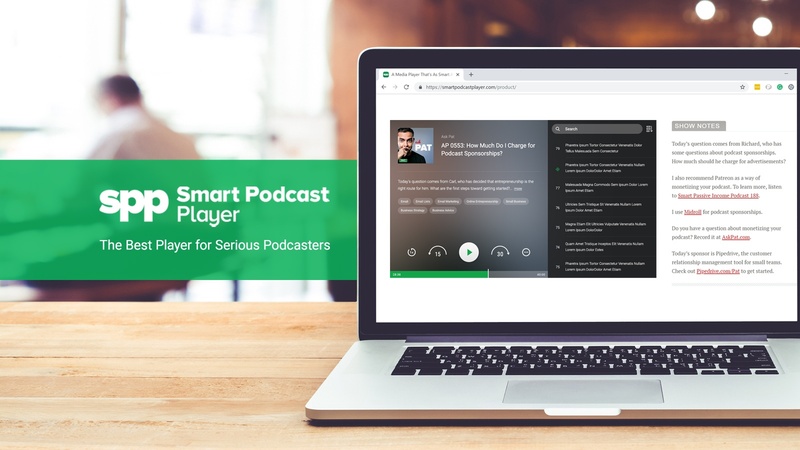 In addition to the no-excuse deals on all of my courses, I’m excited to share a special deal on Smart Podcast Player—and a brand new addition to the Smart Podcast Player that gives you . . . three players in one subscription! Next up is a very special deal on the Smart Podcast Player, the podcast player I created for serious podcasters. And if that describes you, you owe it to yourself to check out the Smart Podcast Player! This podcasting plugin for WordPress was crafted with great attention and care in order to produce the very best podcast production experience for you and the very best listening experience for your audience. Plus, the Smart Podcast Player is the ONLY podcast player that allows you to capture your listeners’ email addresses. Use the code “NOEXCUSES” at checkout for 25% off! As of this SPI-ber Monday, the brand new Sticky Player is available to all Smart Podcast Player subscribers—that’s three separate podcast players in just one subscription! But just what is the Sticky Player? The Sticky Player is a stand-alone podcast player that’s designed to automatically stick to the bottom or top (your choosing!) of your WordPress website. It’s completely separate from the track player and full player, both of which also come with a Smart Podcast Player subscription. With the Sticky Player, highlight your most recent podcast episode, or one of your favorite tracks across your entire website! Use the code NOEXCUSES at checkout for 3 months free (25% off) of the Smart Podcast Player annual plan—and with it the brand new Sticky Player! It’s my hope that all of these courses and resources help you to grow your business and allow you to start living the life you want. And remember—these deals are only offered until Tuesday at 11:59 p.m. Pacific, starting now, so don’t miss your opportunity to take advantage of the savings! No excuses! I’m the Crash Test Dummy of Online Business. I run experiments in growing online businesses and building passive income. Learn from my successes (and failures) to help grow your business. Download Affiliate Marketing the Smart Way, for free! There are a lot of misconceptions about affiliate marketing. In this ebook, I address these misconceptions and share my favorite affiliate marketing rules and strategies. Download this guide for free! Affiliate marketing is about being open and honest about the products and resources you love. 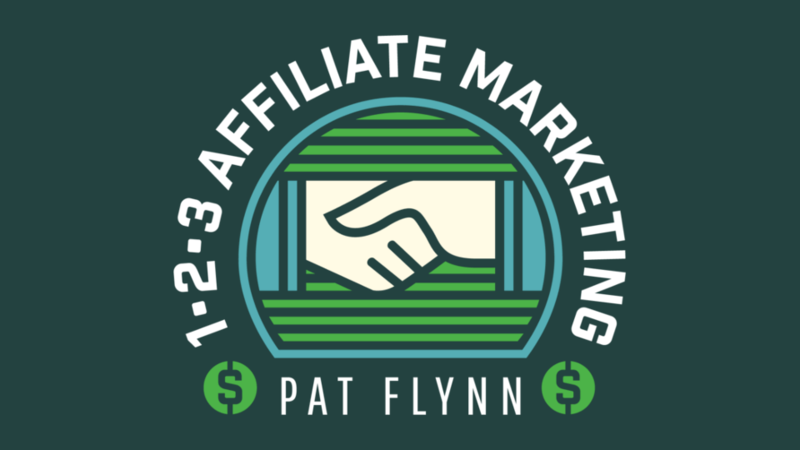 Learn my rules for ethical affiliate marketing. Sorry, an error has occurred. Please try again! For more email-based advice, select additional areas of interest below. If it’s already checked, that means you’ve previously let me know that you’re interested in that topic. Check your email to confirm. You’ll get a link to my Thank You page, which has the download for Affiliate Marketing the Smart Way. How to Start an Email List in 2018: Step-By-Step—UPDATED! How to Start a Podcast in 2019: Pat’s Complete Step-By-Step Podcasting Tutorial – UPDATED! How to Launch a Brand New Website (With a Bang! ): The Ultimate Guide—UPDATED!